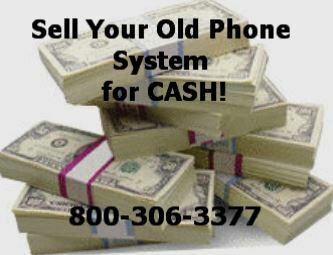 Please call for all other Trillium phone and Trillium phone system pricing. Are you trying to find an affordable Trillium Panther or Talk to telephone? Have you been looking for a refurbished Trillium Panther or Trillium Talkto phone? Craig Communications has a host of models for you to choose from, offering the features you need for any application. We also carry TalkTo telephones, Trillium KSUs and components. Craig Communications prides itself on competitive pricing and top-notch customer service. Look around our Web site to find what you need. Contact us at 1-800-306-3377 for additional assistance. We carry Trillium Phone systems for your large or small busines. Welcome to the refurbished Trillium phone system solution page. Here, we have Trillium phones, including the popular Trillium Panther and Trillium Talkto model telephones for your business. At Craig Communications, we offer most of the Trillium line of telephone systems, including Trillium panther II phones, at refurbished prices your company can afford. If you are searching for trillium refurbished phones, our Trillim Panther and Trillium Talkto models are popular choices for many small businesses who have the Trillium system already and need replace or add telephones. We offer only refurbished Trillium because the company is no longer in business, but we do carry these popular Trillium phones with the same great-quality you would expect from Trillium at a price much lower than our competitors rates. Call us today to purchase any of the Trillium phones or Trillium phone system components and get great customer service at no extra charge! © 2008, 2007 Craig Communications has a Copyright �. Phones or Phone system logos & trademarks are the sole property of respective manufacturers & sellers of phone systems and equipment craig communications buys & sells. Craig Communications sells & buys new & used phone systems & refurbishes them for installation by other businesses and service providers. Even though Craig Communications is not an authorized representative/dealer of any of the business phone equipment manufacturers listed, all business phone system equipment from Craig Communications comes with a full one year warranty. Monday-Friday, Both Eastern Standard Time and Pacific Standard! CALL TODAY!